the dashboard. This is to let you know if there is a failure in your brake system. the plunger in the switch is centered. After any repair or bleeding of the primary (front brake) or secondary (rear brake) system, the dual-brake system warning light will usually remain illuminated due to the pressure differential valve remaining in the off-center position. 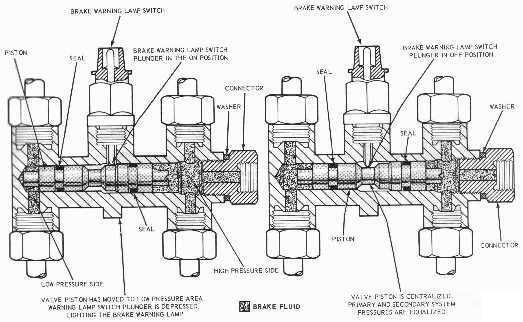 To centralize the pressure differential valve and turn off the warning light after the systems have been bled, follow the procedure below. 1. Turn ignition switch to the ACC or ON position. 2. Check the fluid level in the master cylinder reservoirs and fill them to within 1/4 in. of the top with brake fluid, if necessary. 3. 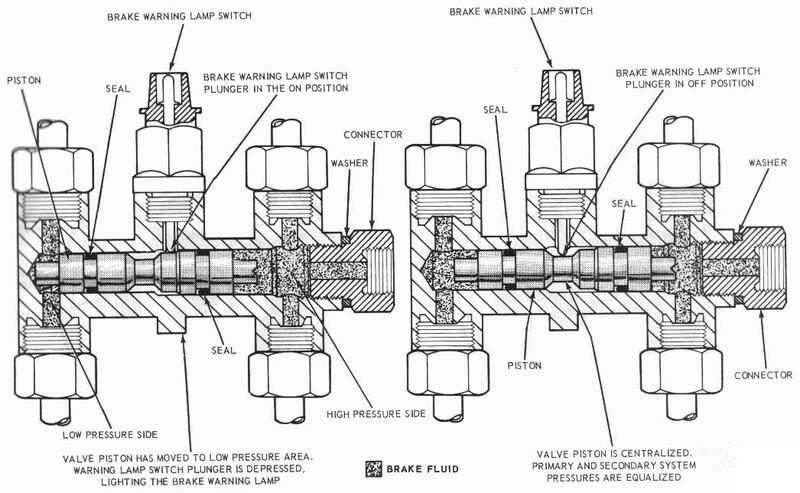 Depress the brake pedal and the piston should center itself causing the brake warning light to go out. 4. Turn the ignition switch to the OFF position. 5. Before driving the vehicle, check the operation of the braked and be sure that a firm pedal is obtained.